Parkinson’s most famous law is that “work expands so as to fill the time available for its completion.” When I was first exposed to C. Northcote Parkinson, I was probably too young to really get the satire. Nevertheless, it sounded very cogent to me, and even as I learned to laugh at its implications, I began also to understand that my first impression was correct; Parkinson’s laws (there are several!) are actually quite true. So what does an old British soldier, civil servant, writer, and tax exile have to do with me? I here propose a modification to Parkinson’s famous law: the number and ambition of the things I do while traveling will expand so as to fill the time available before my return. I have had many people ask “what are you most excited to do?” or “what do you absolutely need to see?” I certainly don’t mind questions like that, though I am generally caught without an answer – there just isn’t one thing that I must see. I began with a list of things to do and places to go, and it has been expanding right along with the scope of the trip. So for all those who have asked these questions, the best I can do is the following list of “musts.” It will be quite a bit more than you’ve bargained for. Please note that there really isn’t a realistic way to do all of these things. It may be disappointing, but some simply won’t be crossed from the list in 2015. Some are quite ambitious, some are probably dangerous, some are blindingly obvious, and if I did all of them, I’d be in Europe until 2020. I also intend for this to be a “living list.” I will add to it and cross from it as things are accomplished. And I’d love to hear your suggestions, since I’m sure I will have missed something fascinating. Walk the entire length of the Theodosian Land Walls; find the sites of the siege of 1453; find the inscriptions; find a way into the peribolos; climb as many of the walls as possible. If I don’t spend entirely too much time at the walls, I’ll have failed. I didn’t fail! Thank van Millingen. Get a car and go to the Anastasian walls in Thrace; walk at least a portion of them and take many pictures, since good, explanatory pictures of these walls are shockingly hard to come by on the internet. Comprehensive tour of the Hagia Sophia, to be followed by a blog post about how to see the Hagia Sophia. I’ve been multiple times. I still want to go back. Comprehensive tour of the Chora church/Kariye muzesi, to be followed by a blog post about how to see Chora. Eat stuffed mussels from a street vendor. Delicious. Make me worry about food poisoning every time. Cross off as many sites as possible on my “Byzantine Istanbul” list, currently up to about 60! To my knowledge very few have comprehensively catalogued the remains of the Byzantines, and of those who have, none have made it available on the web. I’ve done at least 45 or 50 so far. Not bad. Hitch a ride on the Istiklal trolley, hopefully hanging out the side or standing on the coupling. Not on the coupling, but we made it. Go to Edirne; see Selimiye Camii, Murad’s palace, and Ss. Constantine and Helena. Visit the archaeological site of Troy. This will be more of a pilgrimage than I visit, I think. Total magic. I even got a chance to do a little name-dropping. Spend a day or two in Bursa, the first capital of the Ottomans as such. 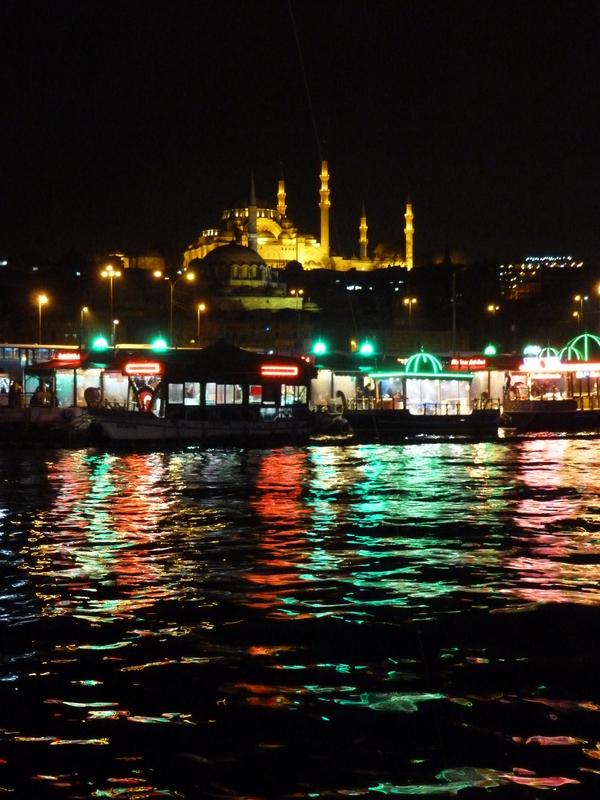 See the sites, and eat authentic Iskender kebab, perhaps more than once. Go to Iznik/Nikaea, and see the Byzantine walls, the theater and the remains of their version of the Hagia Sophia. A few days in Cappadocia would be nice, but I’m going to let Michelle lead that one. Booked! Play backgammon with a Turk. Very fun! I lost. Badly. Learn to make my own çay with the crazy double-decker Turkish teapot. Go swimming in the Black Sea. Swim from Asia to Europe across the Bosphoros (this actually happens, but only once a year: http://bogazici.olimpiyat.org.tr/?dil=en). I won’t be going across the Bosphoros… More to come. Have some friends and family visit from America, who will hopefully smuggle in good Mexican food. Go to a soccer game Saw Beşiktaş play Club Brugge in the Europe League! Sample some Turkish desserts This is done, but we’re not so not done with the desserts. More on the Turkish desserts. Find and play bar trivia We’re not stopping. We’ve even won a couple hundred lira. Check out a farmer’s market The Tarlabasi market is nuts, in an awesome way.